Car Finder Service, in its commitment to help consumers make sound purchase decisions, has reviewed its customer data to come up with three main tips for navigating Labor Day auto sales this year. 1. Make decisions in a calm environment. Many dealerships were offered special incentives by manufacturers this year – ones that are not necessarily transparent to the consumer. As a consequence, dealers may appear extra anxious to close the deal this Labor Day. Decisions made prematurely can lead to regrets; therefore Car Finder Service recommends taking a break or walking around the block before making a final decision. 2. Go for the 2013 models. Dealerships are keen to move the latest models in order to make room for the new 2014 models. Especially heavy activity is expected in New York. For more information on that market, Car Finder Service recommends its New York Labor Day Car Sale web page. 3. Do research on cash back deals. Special cash back deals on trucks this year include the 2013 Chevrolet Silverado, 2013 Dodge Grand Caravan, and 2013 GMC Terrain. Extra cash back deals from Ford include the 2013 Ford Fiesta, 2013 Ford Flex, and 2013 Ford Fusion. 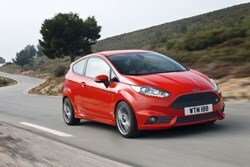 For more information on Ford deals, Car Finder Service recommends its Ford Labor Day Sale web page. For additional manufacturer cash back deals, Car Finder Service recommends conducting a search on sites like Edmunds.com or Cars.com. http://CarFinderService.com is an automotive website committed to helping car buyers search for the best brands of new and used car models. Educating consumers about the auto industry, auto maintenance and the car purchasing process since 2001, Car Finder Service provides the most up-to-date local pricing, specs, and feature information for all popular car models sold in North America. Car Finder Service also helps consumers with the latest vehicle financing and insurance opportunities at competitive rates in partnership with an extended network of car dealers and vehicle financing & insurance providers throughout the US.